You'll be picked up from the hotel to start the tour. 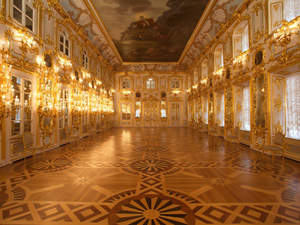 Peterhof is one of the most incredible natural sites of St.Petersburg, commissioned by Peter the Great. 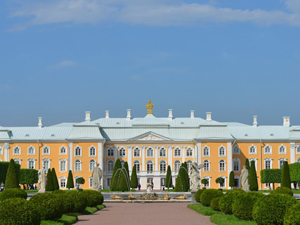 Enjoy a guided tour around the territory of the beautiful summer residence of the Russian Imperial family that is located on the southern shore of the Gulf of Finland, 34 kilometers from St.Petersburg. 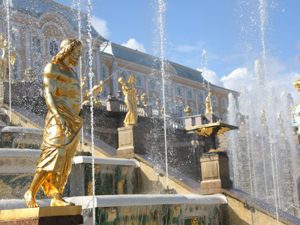 You’ll see plenty of fountains of various forms and styles, beautiful gardens, and numerous golden sculptures. 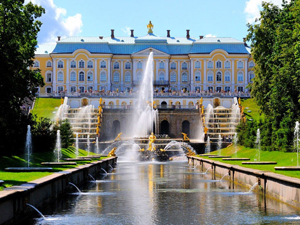 Peterhof is called Russian Versailles for its fountains and palaces. Transfer back to the hotel at the end of the tour.